Eight months of very hard work, research, sleepless nights, and endless meetings have been offset by tremendous periods of encouragement and inspiration. 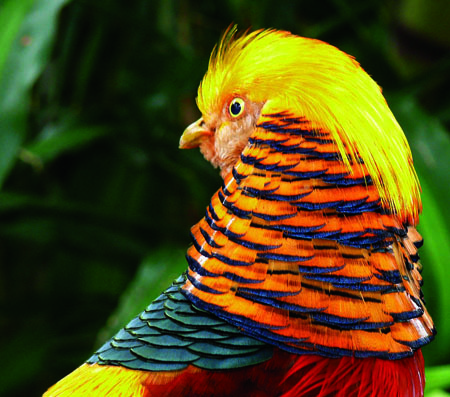 The Friends of the Bloedel are so incredibly fortunate to have the support and backing of so many of YOU! People from across the lower mainland, Canada and abroad. Together we have SAVED this magical place and its future looks very bright indeed! We are so proud to make this announcement! Of course we will be organizing a ‘bash’ to celebrate and we hope to see each and everyone of you there! In the meantime, we’ll be sending out surveys for your input and ideas. Please take part as we continue move forward to re-engage the Conservatory with our communities, schools and visitors. Our work is really just beginning and as the Bloedel has begun to win back its audience, we will still need your help for its continued success. This is a very exciting time and we want you to be a part of it! Thanks also to everyone who came to the Budgets and Special Services Committee meeting last night at the Vancouver Board of Parks and Recreation. There were five Commissioners in attendance: Commissioners Aaron Jasper, Ian Robertson, Loretta Woodcock, Constance Barnes, and Sarah Blyth. Their vote was unanimous in favour of our proposal to partner with the VanDusen Botanical Garden Association to help manage and operate the Conservatory. This means that on September 20, 2010 the Vancouver Park Board will officially accept our FOBA/VBGA proposal at their full board meeting. Meanwhile, the Commissioners have directed Park Board staff to begin working with us on our plan to reinvigorate the Bloedel and improve attendance. 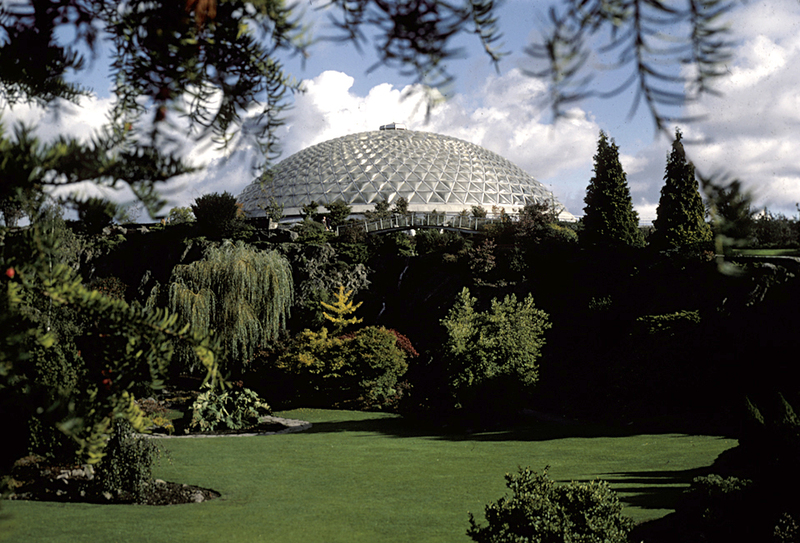 This journey to save the Bloedel Conservatory has been a collaborative effort and an exciting journey for us all! A special thank you goes out to Mavis Hnidy for having the insight to introduce John Coupar, Vicky Earle and Sheryl Hamilton – who by a stroke of sheer sychronicity back in November – all happened to be at the Conservatory, looking for a way to save it. That one small step set the wheels in motion in such tremendous ways! The Friends of the Bloedel Association was formed and we now look forward to a positive partnership with the VanDusen Botanical Garden Association and the Vancouver Board of Parks and Recreation. 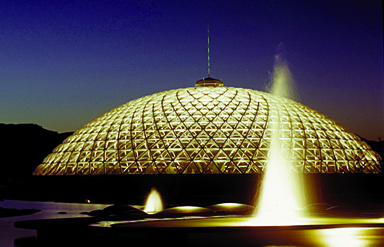 Do join us as we continue to take part in the magic that is the Bloedel Conservatory! Show your Support at the Next Public Meeting! As you likely know, the Friends of the Bloedel/VanDusen Garden Expression of Interest partnership is still being considered by the Vancouver Park Board. Four proposals were submitted back in April to help operate and manage the Conservatory to save it from closure. We have known for some time that our EOI placed in the top two. Recently, we were asked to submit a more extensive business plan to Park Board staff which was delivered first thing this morning. The final decision is still pending, but we are cautiously optimistic. Join us at the next Public Meeting Tuesday, July 20th at the Park Board office Boardroom (2099 Beach Avenue @ 6:30) and show your support for our proposal to partner with VanDusen Garden Botanical Association! The Bloedel is definitely on the agenda for this meeting, and the Park Board Services & Budgets Committee may announce the winning bid. If you would like to speak on behalf of the Bloedel and/or support our partnership proposal at the meeting, contact Hart Nijjar at 604-257-8453 at the Park Board and ask to have your name placed on the speakers list. 9-Year-Old Emma – Bloedel Hero Receives Award! On Monday June 28, 9-year-old Emma was surprised and thrilled when Friends of Bloedel President John Coupar presented her with an Award of Appreciation for her fundraising efforts to Save the Bloedel Conservatory. The whole school gave Emma a big cheer and a great round of applause when she accepted a framed picture of Rosie, the African Grey Parrot and a coveted FOB pin at her school assembly. Earlier last month, the Vancouver Sun told her story which was also picked up by City TV. Not only did Emma raise $240 in her first can and bottle collection drive, but she later went classroom to classroom at her elementary school giving presentations about the importance of the Conservatory, collecting over 200 signatures on a petition that was sent to Mayor Robertson. “The Bloedel Conservatory has been a lifesaver for three generations of the Bolzner family. Emma was heartbroken when she heard that the Vancouver park board had slated the conservatory for closing after a budget meeting last November”. 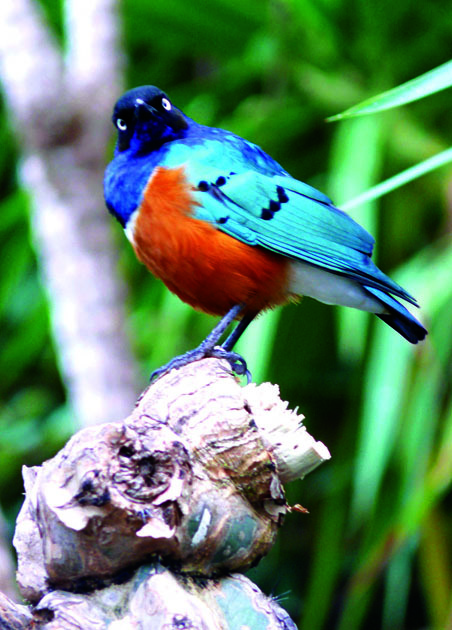 Stay updated at the Friends of Bloedel website. Thank you Emma!! You are an inspiration to us all! !